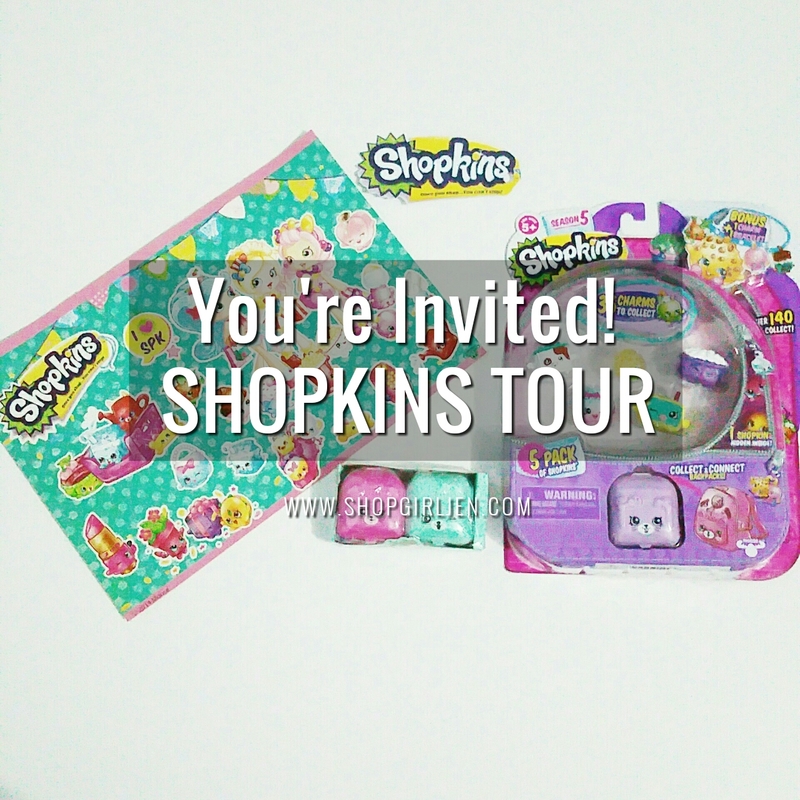 I think there's no kids who are not familiar with Shopkins, hehe! My daughter Sofi has been collecting Shopkins since last year and she has 113 pcs already! Whenever we go to a toy store and let her buy/choose her toy, she will always ask for Shopkins. That's why she's excited when she found out that there will be a Meet and Greet, Swapkins Trading Station and Arts & Crafts with Beados happening at SM Megamall this weekend, July 15-17, 2016! With the success of Shopville Manila last May at SM Mall of Asia Atrium, Europlay Distributor Co., in cooperation with Toy Kingdom and SM Megamall, offers a 3-day fun-filled event for all fans around the metro from July 15 – 17, 2016 at SM Megamall Event Center. Show your work of art with the magical beads of Beados and bring your collection to trade characters with your fellow collectors at the Swapkins zone. Plus, a one-day meet and greet on July 17 makes the guests remember this unique experience as they take a photo with Strawberry Kiss, Lippy Lips, Spilt Milk and the Shoppies! Shopkins offers wide range of collectible characters, themed play sets and accessories available in all Toy Kingdom outlets and other leading toy stores nationwide. Visit www.shopkinsworld.com.ph or follow them on Facebook (@RichwellClub) for more information and exclusive updates. Thank you so much Richprime Global Inc. for sending Sofi the Season 5 of Shopkins!